There is a world to explore outdoors, and the good thing is that you do not have to go far from your front door. These pages are here to give you ideas. 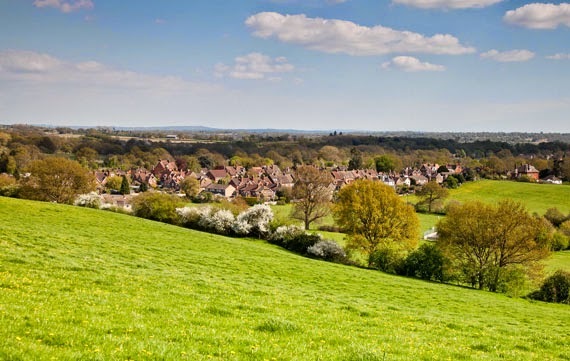 To start with, there are Walks, none of them more than 3 miles from Nutfield. The walks are all in places where nature and biodiversity are encouraged, and where you stand a good chance of spotting things of interest. In Nutfield itself, go to Philpotes Wood in Kings Cross Lane, or the Triangle Wood alongside Sandy Lane. Over the hill on Nutfield Marsh, and down in Godstone village, there are magnificent wetland reserves run by the Surrey Wildlife Trust. On the North Downs above the M25, forget the traffic noise and marvel at the butterflies and the rich flora of Chalk Downland. Head south to Outwood and discover wood anenomes in Hornecourt Woods, and ancient oaks in Outwood Common. The Photo Gallery is for you to use and enjoy. Send your wildlife photos to the Nutfield Conservation Society to be put on line: it could be birds in your garden or the bugs in the lawn, or take the camera on a walk, and see what you find. The site in future will also bring you Nature Notes, details of what you might see in and around the Parish: the finest trees in the village, unusual bird life, ancient woodlands, and the flowers, moths and butterflies that have been recorded in the area. And, What's On, a chance for village groups to post details of events. This Nature site has been developed by the Nutfield Conservation Society with the aid of a grant from Entrust, the Landfill Communities Fund. Text and photos: Liz Ramsay. Homepage photo: Harald Joergens. Thanks also to Douglas Maitland, Designer, and Kent Sandiford, Website Co-ordinator.